Why not spoil mum with a voucher to a spa day this year? You can choose the value of the voucher and mother can come and enjoy much deserved pampering at the spa, you can even join her for some special bonding time. 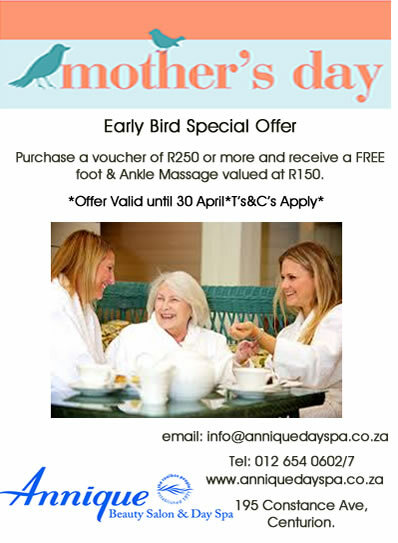 Purchase a voucher valued at R250 or more and receive a FREE 30 Minute Foot & Ankle Massage.